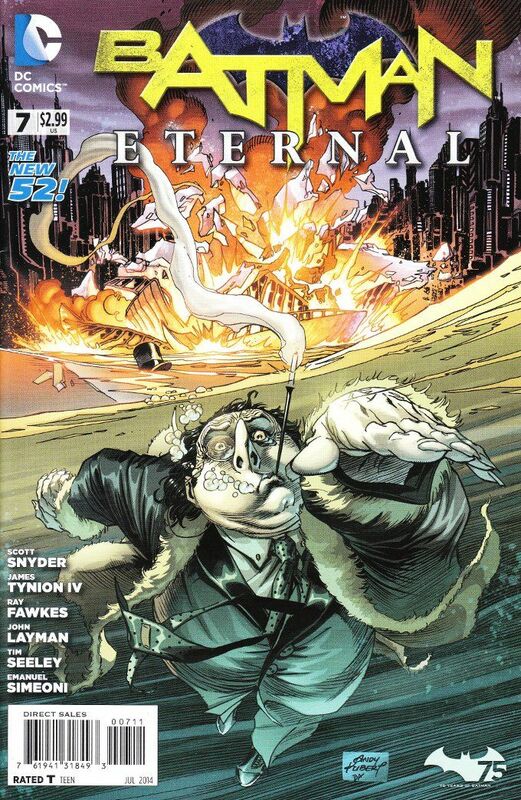 Sadly, the scene on the cover of Batman Eternal #7 doesn't actually occur in the book. A shame, as the image of The Penguin using his cigarette holder as a snorkel as he swims for his life is an amusing one. It is also an apt metaphor for the action of this book, which does see The Iceberg Lounge destroyed and good old Ozzie forced to "sink or swim". The interior art isn't quite so nice. Emanuel Simeoni is a good artist and one can see fragments of fine detail throughout the book. Sadly, most of this detail is lost under heavy inking that obscures the artwork rather than enhancing it. Thankfully the writing is as strong as ever. 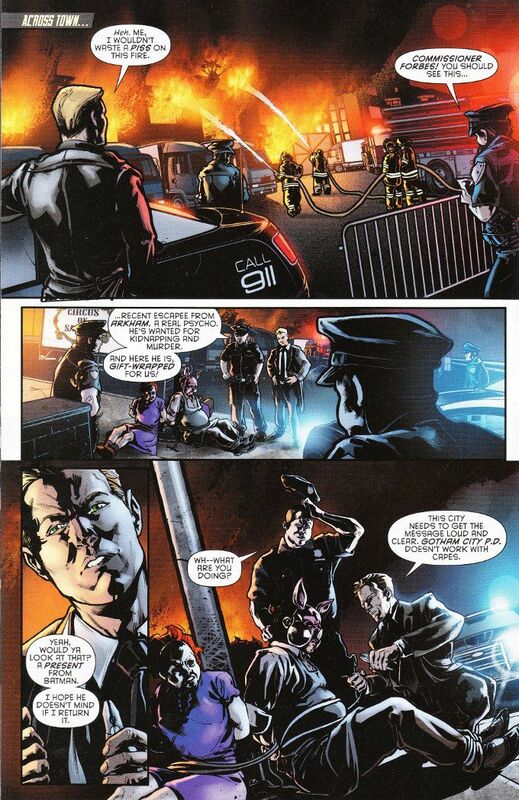 This issue shifts focus back to the main story involving Batman coping with the return of crime-boss Carmine Falcone and his new-found allies in the GCPD and the Mayor's Office. I shan't say more but those who were worried that this series would spend too much time on the side-stories after the past two weeks should rest assured this book has not forgotten its purpose.